Combining portability with refillable spray foam options, the Mobile MagnumTM Cart makes it easy and convenient to get started using low pressure spray polyurethane foam. 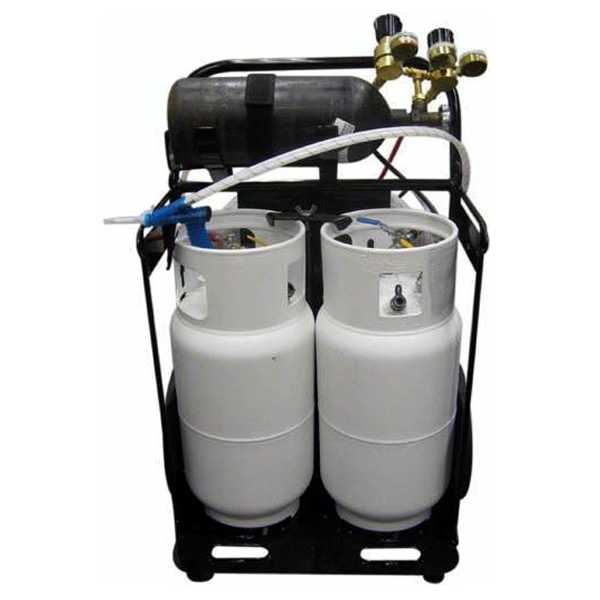 The professional and portable Mobile Magnum cart can easily transport 8 gallon refillable tanks that cover 1,010 board feet in and around a home – even through doorways, just the right size for insulation and weatherization contractors. The refillable systems are low maintenance and offer fast and easy setup and teardown. Refillable Low Pressure Spray Polyurethane Foam Systems. Proper use of a NIOSH approved half mask respirator with organic vapor cartridges, safety glasses or goggles, nitrile gloves, and protective clothing is recommended for application of this product. This product is for PROFESSIONAL USE ONLY.